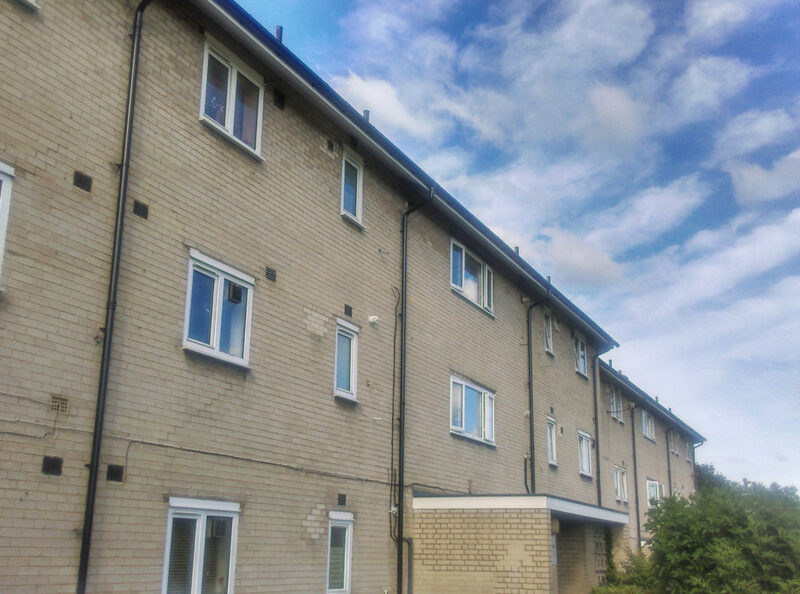 When undertaking planned external maintenance of social housing properties, low cost materials are often a favoured option, particularly when budgets are tight. Kevin Wallis explores the alternative —considering how the whole life cost of a building component can alleviate pressure on budgets, longer term. Local authorities are consistently under pressure to maintain and improve the quality of tenants’ homes, whilst facing budget constraints. This is why, in a situation where repairs or replacements are required, the most competitively priced product is commonly chosen. This is often the case for eaves and rainwater systems. Rainwater systems are important as they protect the property from damage caused by rain, which can include damp in the walls which will attract mould, mildew and in some scenarios, pests — so it’s crucial they are kept in good repair to prevent costly damage as well as protecting the health and wellbeing of occupants. 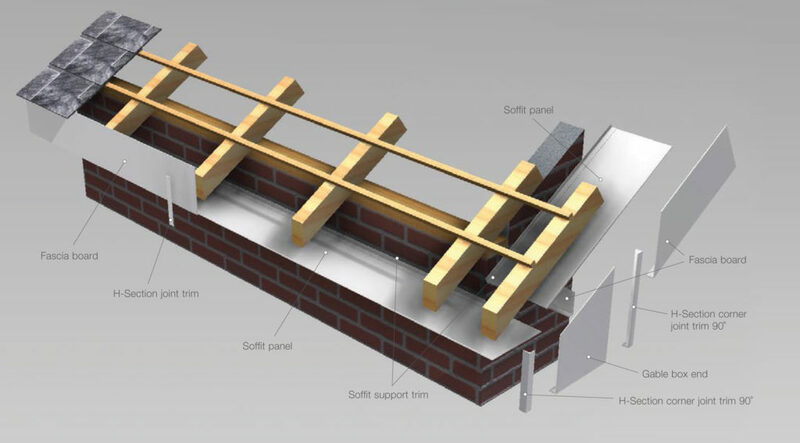 The emergence of PVC systems in the 1980s enabled social landlords to design out a significant amount of maintenance associated with timber and cast-iron eaves products from their external works programmes. Although this was undoubtedly an industry advancement, because PVC will not last the life of the building, eaves maintenance budgets have merely been repositioned on the agenda from cyclical (i.e. repainting) to planned (i.e. replacement). When they come to the end of their useful life, landlords then have a choice. The easy option may be to opt for a like for like replacement, as budgets remain tight and plastic systems still remain a low cost solution. Some have turned to steel rainwater goods as a raw, contemporary solution to the age-old problem of ultra violet fading, synonymous with the PVC gutter industry. However, steel’s limited life expectancy means this is not proving to be the industry advancement hoped for either. Client liaison is now accepted as an indirect cost related to planned works with the necessary budgetary provisions — the question is, how do housing groups make financial provision for the numerous other consequential risks and considerations associated with carrying out external works at height to an occupied building? If the building is over two-storeys, for example, scaffolding is required. This causes additional cost and inconvenience to tenants. Most social landlords are specifying items such as boilers, heating components, sanitaryware, kitchens and electrical fittings within their employer’s requirements. This enables them to gear up to offer efficient reactive maintenance and effective planned maintenance to comply with their obligation to provide comfort and hygiene. Over the years this has received significant state backing through schemes such as the Decent Homes Standard. By comparison, eaves material choice offers little to the comfort/hygiene of occupants therefore it is not prioritised within employers’ requirements. However, the industry does appear to be settling on the idea that at three-storey height, durable eaves materials are the most cost-effective in the long run. Aluminium emerges as a material that has the properties to address the challenges of cyclical and planned maintenance provision within the social housing sector, which are not addressed by traditional or PVC materials. Aluminium is incredibly lightweight — 65% lighter than steel — yet has a very high strength to weight ratio, making it durable even in high winds and stormy weather. Aluminium systems have a life expectancy of up to 50 years or more. Due to a naturally occurring oxide coating, aluminium does not rust or corrode and it will never need re-painting. If the coating is inadvertently damaged, the aluminium simply oxidises again to protect itself. This significantly saves on costs throughout the system’s expected lifespan, which housing authorities can greatly benefit from. Working closely with PA Housing, architect Ian Manley recommended Marley Evolve box guttering and Evoke fascias and soffits. 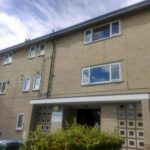 Ian was determined to keep future maintenance at eaves level on the three-storey building to an absolute minimum, by choosing a material which would virtually remove the need for any maintenance, other than cleaning or clearing blockages caused by leaves. In addition, the Evoke range is also available in a choice of 12 PVDF paint options, which includes Nano surface technology able to resist the build-up of dust, grime and algae. Roofline specialists RC Grant & Sons undertook the installation on the project and commented on how the ease and speed of installation was similar to that of PVC. This meant an affordable installation was achieved ahead of schedule. PA Housing and the tenants of The Fairways now benefit from high quality, aluminium rainwater systems that will retain there looks for decades and require virtually no maintenance — saving on lifetime costs and future disturbance to tenants.